Like us, Abbey Kaye is an expat and a travel blogger. She writes with a wit that’s not that common among travel blogs, and she travels compulsively. I only “follow” half a dozen blogs personally, and Abbey’s blog (titled “I Love Airplane Food” http://iloveairplanefood.com) is one. 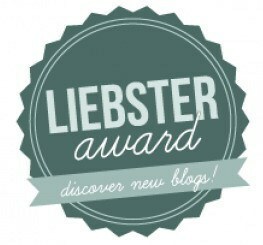 The other day, Abbey nominated us for the Liebster Award, which is given to “up and coming” blogs. A liebster (as an adjective, translated from the German) is beloved, or liked very much. Wow. Thanks, Abbey! We’re curious about lists that aren’t round numbers. “The Top Ten Reasons for Drinking Civet Poo Coffee” makes sense. “The Best Eleven Places to Trim Your Toenails” does not. We don’t put lists in our blog. Louise used to love airplane food: the tiny quantities, the little brownie. Now we think those little snack boxes really are awful (I eat the box and leave the contents). We bring our own food aboard. Speaking of which, Louise is also passionate about soggy Amtrak microwaved cheeseburgers. Third on our list of must-haves for apartments in far-away lands (after “kitchen” and “bathroom”), we list “Wi-Fi.” If Louise is making the reservation, it will also have air-conditioning. We lament a good kitchen. The kitchens in travelers’ apartments are almost universally inconsequential. We don’t have a home, and our peskiest travel problem is filling out any form that asks for a home address. Our only phone numbers are via Skype (which requires Wi-Fi), and we pray for a day when everybody has a single permanent floating telephone number that works everywhere in the world, Wi-Fi or not. We like to stay in one place for at least a month, preferably longer. We try to learn at least the social niceties of the language, and the natives usually love teaching us a word a day. We seek out the expat community wherever we travel. Expats have all the best advice and provide the best openings to the local community. No matter how little we pack for travel, it’s always too much. Okay, Abbey. That’s eleven. And thanks again for the award! Congratulations for your award !! Yes, I would vote for you re: the Liebster Awaord. You have so many good tips, the ability to make “best friends” with some of the people you meet and you do meet interesting people. That ability, alone, gives a good many award points. ::::blushing:::: Thanks, Julia. You make us sound like heros!